What is the best pocket knife out there? 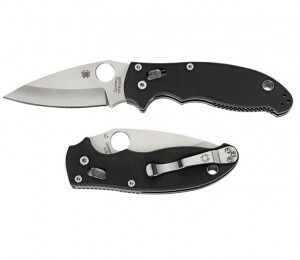 Are you still looking for a good quality pocket knife? Pocket knives are very good companions because they are portable and make themselves useful in many situations, whether it be camping outside or let’s just say you’re lost in a desert island. When you have to choose one, make sure that the knife meets your needs and is according to your preferences. There are a zillion choices today. There are traditional knives, single knives, Swiss knives, tactical knives, multi-tool knives and etc. 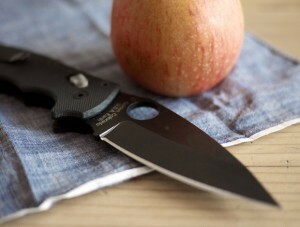 But when you zero in on one, what matters is the durability of the knife, the grip, the overall quality and reviews by existing customers about the brand. A tactical tomahawk, sometimes just referred to as a hawk, is an axe that was developed in North America and used by Native Americans. The traditional hawk has a straight shaft and looks a lot like a hatchet, and for centuries these were used by American Indians not just as a weapon but a general purpose utility tool and their use was later adapted by the European Colonials. Even today, hawks are used by military personnel, campers and outdoor adventurers for various operations. Tomahawk heads today usually weigh around 10 to 20 oz, and the cutting edge rarely extends to more than four inches. As for the actual head design, it varies greatly with some rounded off while others are fitted with a spike or hammer. While modern hawks still retain the basic design, manufacturers are always looking for ways to enhance the design so they become more versatile. As a result, the modern tomahawk can be used as a fighting weapon and as a utility tool for extracting and excavating and cutting through thick objects. Finding a quality plain edge knife is so important if you want to always create the best sliced vegetables, fruit, meat, or even bread. The all new Spyderco Junior made By Alexandru Dionescue G-10 Plain-Edge Knife has been getting quite a lot of attention lately, as it has been claiming to offer some of the most superior features and benefits the best most reliable junior knife should offer. However, before you buy any kitchen tool especially for kids, it is important that you learn all the specifications of the product to find out if it is best for you and your child. Watch the video below in detail and get a closer look. Every type of knife has to be as sharp as possible. Same goes with pocket knives; this kind of knife has to be sharp so you may use it for simple projects and outdoor activities. 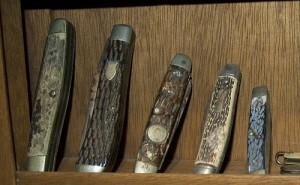 Pocket knives may also be an ideal self-defense tool. 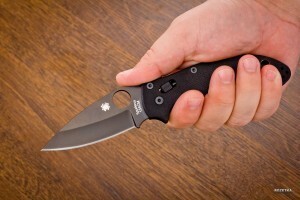 You can inflict serious injuries to an attacker if you know how to use a sharp pocket knife.